I wanted to share with you some of my favourite products that are stocked on The Make Up Armoury. 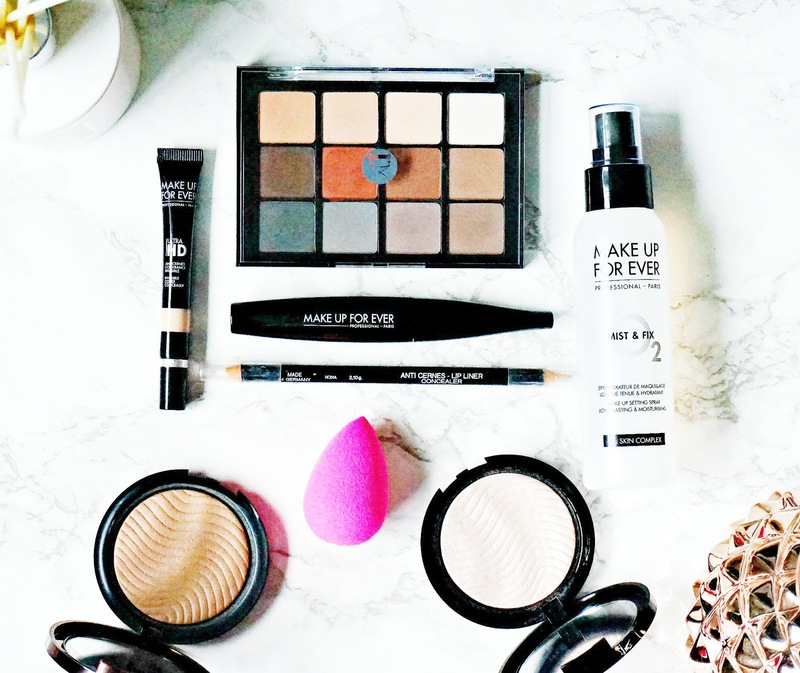 You just can't beat the Beauty Blender for a flawless base. Even if I apply my foundation with a brush or my hands initially, I will always finish it with the Beauty Blender to ensure that it is even and well blended - tide marks are never a good thing! I am tempted to buy the Body Blender to help apply my fake tan evenly on my hands and feet - have any of you ever tried it? In terms of matte shadows, it would be difficult to find better than the Viseart Neutral Matte palette. It contains 12 decent sized shadows, all of which are extremely pigmented, without fallout and are the perfect finely milled texture that allows for easy blending but not so buttery soft that they will break. The shadows also have excellent longevity - they do not budge at all until you remove them and this little palette has a good range of shades to use for both day and evening looks. The packaging isn't particularly fancy but is sturdy and the clear lid makes it easy to identify the product if you are a palette hoarder, like myself! Make Up For Ever is a brand that is synonymous with quality - it is a professional brand afterall. Some of my recommendations from the brand are the Ultra HD Concealer, which is a highly pigmented concealer - seriously, this will cover any blemishes, scars etc. Only the tiniest amount is needed - literally a pin head amount is all I need for my face and it glides over the skin without being too drying, however I personally wouldn't use it on my under eye area as my skin is so dry but if you have very dark circles and don't have very dry skin, this would work wonders for you! They also sell the matching HD foundation. I also really like the Mist & Fix Setting Spray, which adds some moisture to my skin whilst setting my base. My one criticism of it is that each spray dispenses quite a lot of product so I have to be sure to spray from a full arms length and the word mist is a little mis-leading as it is definitely a lot heavier than a mist in my opinion. That being said, it does help to keep my makeup in place without drying my skin out. I love the Smoky Extravagant mascara for some daytime-appropriate volume. Who am I kidding?! I love full-on, voluminous, dramatic lashes all of the time but this mascara is more suited to days when I have a doctor's appointment and don't want to look like I'm on my way to the pub. It adds volume but in a very non-clumpy way so would be suitable for office make-up if you feel naked without false lashes! I highly recommend checking out their Special FX section if you are going to do any Halloween looks this year as they have everything you could possibly need! Do you prefer to shop online or instore for beauty products? All products are bought by me, unless otherwise stated. Some of these products were kindly sent to me by The Makeup Armoury but this post is not sponsored and opinion is always my own.